Yurts are a great addition to any festival, event or wedding. From small accommodation yurts to large gathering spaces, yurts offer a very special and unique atmosphere compared to the basic square tents and marquees. 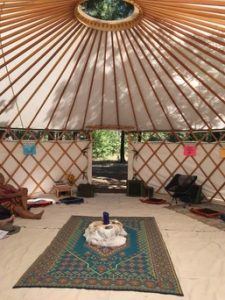 Yurts are ideal for meetings, entertaining, workshops/classes and lounges. 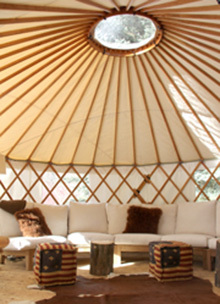 Based primarily on the west coast, we can travel to any location to set up and furnish the yurts. 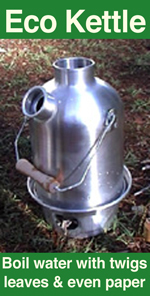 We have a large inventory of smaller 12ft yurts that are best suited for accommodation. 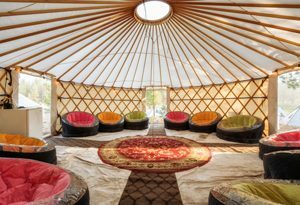 These “Boutique” style “Glamping” or “VIP Accommodation” yurts are a great way for event organizers to provide a profitable, unique, and luxury accommodation to attendees. The 12ft rental yurts can comfortably house two or more people (depending on the furnishings) and be can rented furnished or unfurnished. For a relaxing chill space, we recommend the Persian rugs, large floor cushions and low tables. We can provide Eastern decor, Moroccan lanterns and subtle lighting. The wine bar theme consists of Teak bar height tables for standing or with bar stools if seating is required. This arrangement allows for more people to socialize and mix in a semi informal setting. For a more formal but relaxing setting, we can provide Teak, deep seat patio armchairs and tables. With the size of the furniture the big yurts cannot house as many people, buts its a perfect social arrangement for smaller gatherings. The big yurts (20ft & 25ft) provide great open spaces for lounges, work spaces, classes, meetings, workshops and entertaining spaces. They are wonderful for weddings; either for the ceremony if a small intimate wedding is planned or as a unique reception space. Big yurts can accommodate large groups of people and provide much needed shade structure. The canvas walls can be completely removed to allow good air flow and views to the outside. Our top of the range 25ft yurt, what we call the “Lord of the Rings”, yurt has 4 horseshoe shaped doors and Art Nouveau style roof poles. It creates a really magical space either furnished in the Eastern style with rugs etc or as a wine bar setting or patio style lounge. 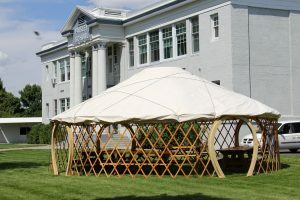 You can see the “Lord of the Rings” yurt in action at The Mongolian Tea & Coffee House (www.mongolianteahouse.com) they serve Organic wood roasted Espresso coffee, specialty teas and baked goods at music Festivals. 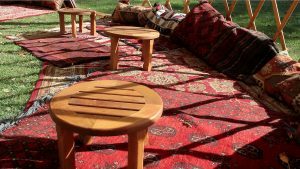 All yurts can be rented either furnished or unfurnished and the Mongolian Tea & Coffee House can also be contracted to provide catering at any event or festival. 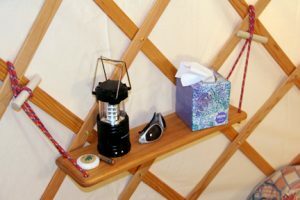 For “Yurt Villages” providing Boutique or VIP accommodation, we can also provide a Concierge, “meet & greet” and even housekeeping/maid services. Combined with the Mongolian Tea & Coffee House, what could be more luxurious than having a continental breakfast delivered directly to your yurt, having texted your order from the comfort of your yurt? Our team provides hassle-free set up and breakdown at events up and down the West Coast. 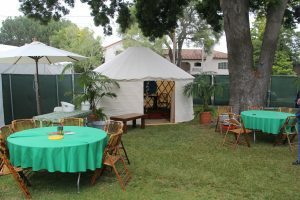 For events further afield, we can provide yurt rentals to the Midwest and even East Coast, but transportation & travel costs can increase considerably. 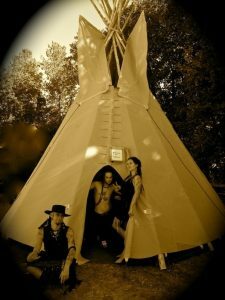 We have a few 18ft teepees that we also rent. While not quite as user friendly as yurts as they have such long poles to transport and the available standing space inside is limited, but that said, they have such an ancient vibe create their own mystic. Can be used for accommodating groups at festivals, back stage entertaining for Bands as in the photo featuring the Band Omnia. We will be adding smaller teepees to our line up soon which will be available for boutique camping and VIP accommodation.